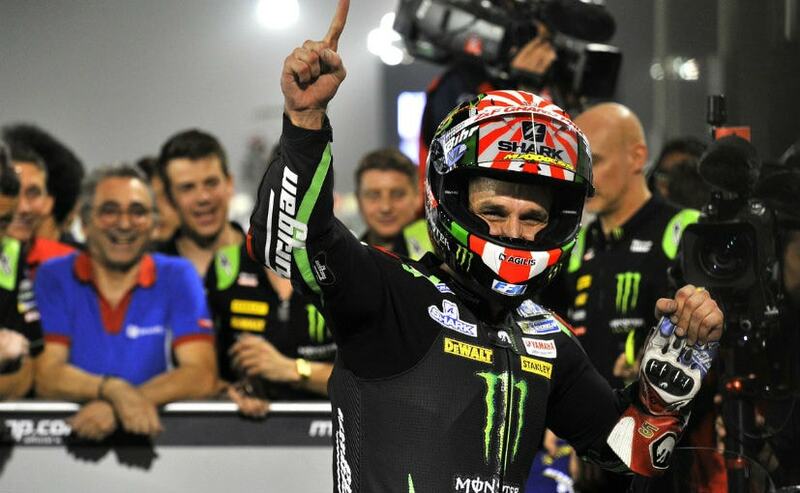 Tech 3 Yamaha rider Johann Zarco took the pole in the 2018 MotoGP opening round in Qatar, setting up a new lap record in the process. We told you Johann Zarco will be force to reckon with this season and the Monster Tech 3 Yamaha rider has made a brilliant start to the season. 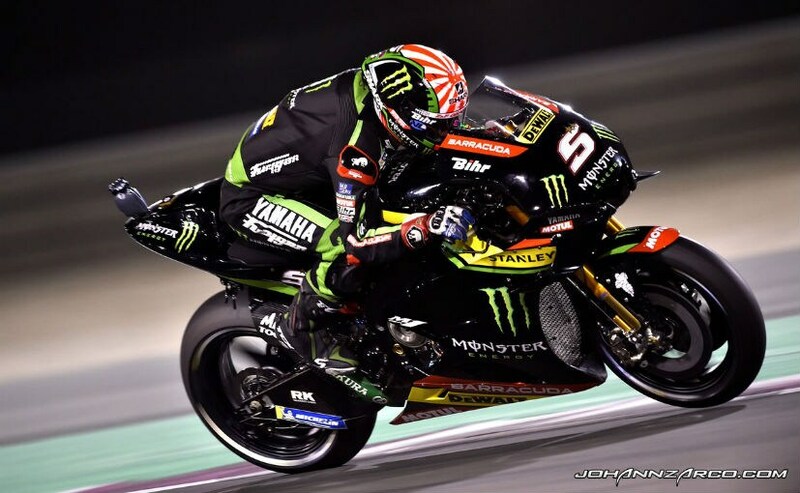 Zarco grabbed the pole position for the opening round of the 2018 MotoGP World Championship at Qatar on Saturday, setting up a new lap record in the process. The Frenchman broke Jorge Lorenzo's record set in 2008 by 0.247s, completing the laptime in 1m53.680s. This is Zarco's third pole position in the premier class championship, and was ahead of reigning world champion Marc Marquez by 0.202s. Repsol Honda's Marquez led the rider line-up initially with a laptime of 1m54.368s, which was toppled by Ducati's Andrea Dovizioso, who completed a lap in 1m54.074s. The runner-up from 2017 seemed to have bagged the pole position for this season's first round, but late improvements from the Marquez and Zarco meant the Desmodovi will be starting fifth later today. Interestingly, Danilo Petrucci of Pramac Ducati showed some brilliant pace through qualifying and will start third, just 0.005s slower than Marquez. After a not-so-impressive performance in 2017, LCR Honda rider Cal Crutchlow also made a healthy comeback during qualifying and will start fourth tomorrow, ahead of Dovizioso. Crutchlow secured a laptime of 1m54.072s, 0.392s behind Zarco. 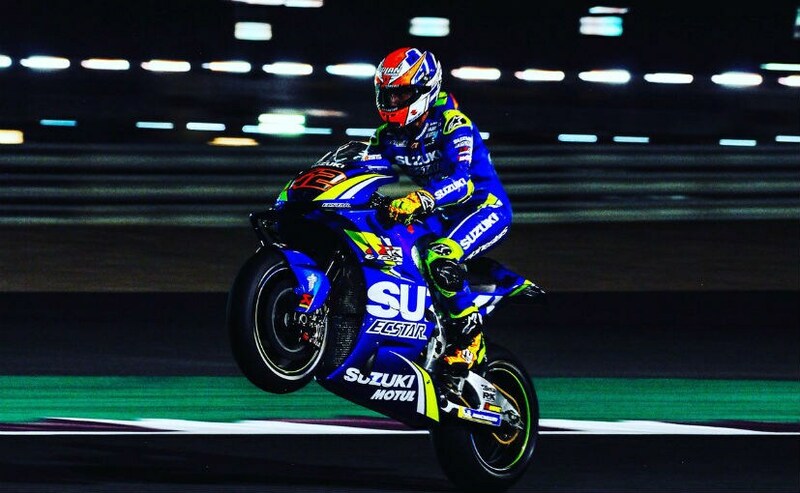 The second row will see Suzuki Ecstar rider Alex Rins start in sixth place ahead of Honda's Dani Pedrosa in seventh, while Valentino Rossi will start eighth on his Yamaha M1. The second Yamaha piloted by teammate Maverick Vinales turned out to be the slowest in 12th place, during second round of qualifying and finished 1.027s behind Zarco with a laptime of 1m54.707s. Jorge Lorenzo finished ninth on the second Ducati with a laptime of 1m54.431s, ahead of Pramac Ducati's Jack Miller completing the top 10 places, ahead of Suzuki's Andrea Iannone. 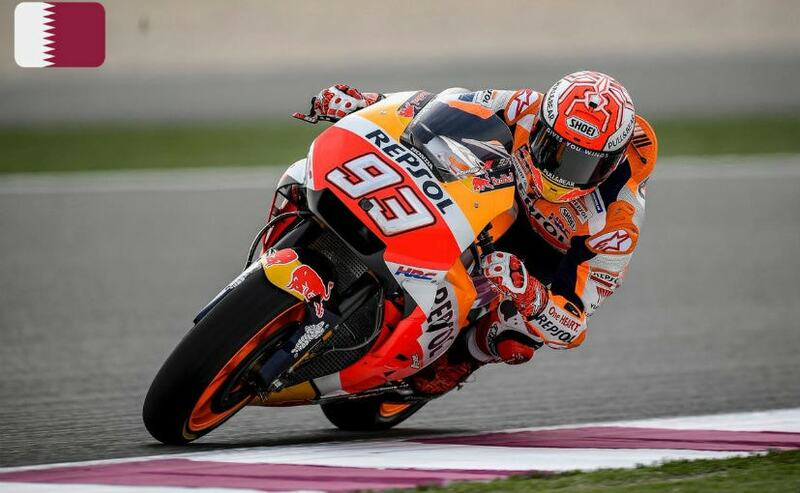 The action will commence later this evening at the Losail International Circuit in Qatar, so make sure to keep watching this space for all the MotoGP action.